The world’s first high-tech compact fan with patented Bionic Loop Rotor comes from Germany. 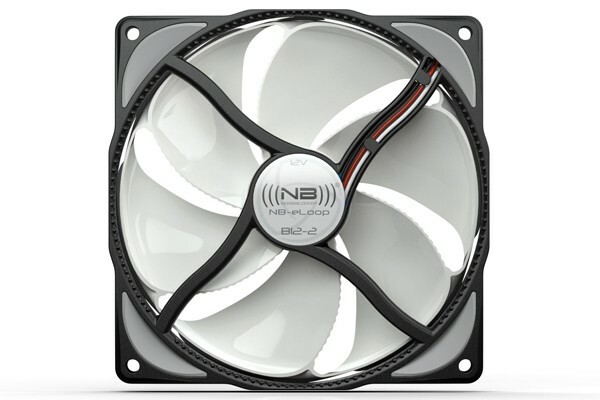 Developed in cooperation with the federal ministry of economy and the bionic researcher Dr. Rudolf Bannasch, the NB-eLoop series fans are currently probably most advanced fan in the world. The NB-eLoop sets a new benchmark in virtually all aspects and boasts perfect quality of manufacturing. Newly developed bearing and drive, as well as the proven NB cable management in combination with a 12-piece mounting kit for vibration-free mounting, round off the unique overall setup. The unique design of the rotor eliminates the vortices between low and high pressure side of the fan blade tips. The tip vortices are broken up into smaller vortices and distributed evenly. Vortices on the trailing blade edge are reduced to a minimum by vorticity guides. Result of all these features is reduced drag, significantly reducing aerodynamic noise and improving energy efficiency. Dust repelling super-smooth surface, Material original Bayer Makrolon®. The included 12-piece mounting kit allows vibration-free mounting, reducing the noise emission level when installed. MTBF (25°C) : 150 000 hrs.